Your teeth and gums must be healthy enough for whitening. Before recommending whitening, we will carefully evaluate your smile. 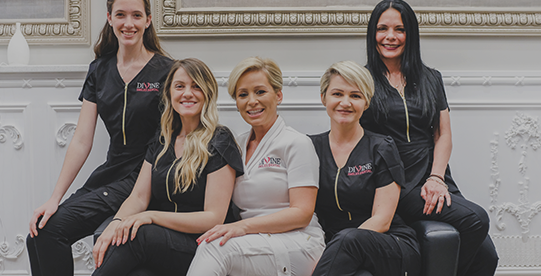 Contact Divine Smiles Dental for more information or to schedule a consultation with Dr. Rubinoff today. 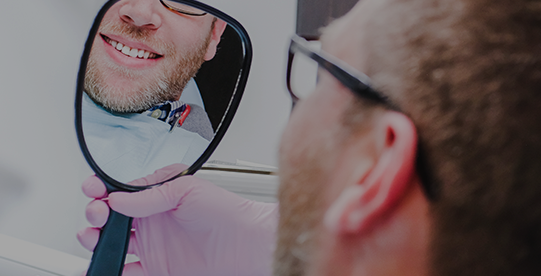 KöR® Whitening, developed by renowned cosmetic dentist and whitening science expert Dr. Rod Kurthy, is widely recognized as the most effective teeth whitening system available today. KöR’s unique scientific formulation rejuvenates teeth, providing amazingly whitening results with little to no sensitivity. And KöR is perfect for any age, any case. With easy periodic at-home maintenance you can continue to drink red wine, coffee, tea, etc. and still enjoy a bright, naturally white smile for life. And the KöR Whitening System is so effective it is the only teeth whitening system that can significantly whiten even tetracycline-stained teeth! All KöR Whitening gels are continuously refrigerated, from the time they are manufactured until they arrive cold-packed at our office. That means we always use the freshest, most incredibly potent gels every time! And the difference in whitening results is amazing! With KoR you will whiten, in total comfort, while you sleep. No need to find time to whiten during your busy day. And KöR-Seal Whitening Trays are so comfortable that many patients wake up in the morning having forgotten the trays are even in their mouths. Whitening gels become more and more acidic as they break down, resulting in an ever increasing possibility of sensitivity and pain. KöR’s constant refrigeration virtually stops the breakdown of whitening gels thus reducing the possibility of pain and sensitivity. And KöR is perfect for any age, any case. KöR Whitening – Simply Whiter Teeth.